Parents gathered over juice and snacks at a north Toronto family centre to read picture books and discuss ways to help children connect with their emotions. In a recent, Read With Me workshop, grandparents, parents and caregivers are introduced to both classic and new children’s picture books. Books promote empathy for others. I designed this emotional literacy workshop to help adult participants learn ways to engage children with stories; identify the picture book characters’ emotions along with their own and also, develop ways to share their personal stories and challenges with the children in their lives. In the Information Age, we’re inundated with the distractions of technology. We also have the obligations and responsibilities of work; school; family and friends. When we’re busy, there’s little time for self-reflection. But books can help. Books can provide both quiet solace and opportunities to engage and connect. 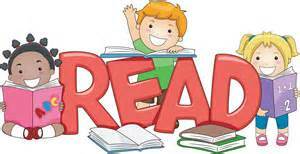 My hope is that in the Read With Me workshop, parents, grandparents and caregivers will find time, amidst the demanding whorl of life’s responsibilities to help children understand their emotions; be more self-aware and compassionate toward others. Juice and snacks donated by François No Frills. Groundwood Books generously donated A Family Is A Family Is A Family written by Sara O’Leary. Illustrations by Qin Leng; Uncle Holland, words by Jon Arno Lawson and illustrations by Natalie Nelson; Town Is By The Sea. Text by Joanne Schwartz. Illustrations by Sydney Smith. The Canadian Children’s Book Centre also donated books and magazines. Every workshop participant received Loris Lesynski’s Boy Soup plus Children’s Book News and Best Books for Kids & Teens 2017. Congratulations to a winning health care client, recently awarded recognition at the 2017 Shared Health Services Ontario (HSSO) Achieving Excellence Together (June) Conference. As the originator of the four award submissions, I happily share in my client’s success. In my role as a communications specialist, I used my skills to showcase the many ways this organization’s culture harnesses the talents of individuals, working together, to put patients and families first. My award nomination submissions highlighted the professional and compassionate, health care delivery services of individual staff, teams, departments and their initiatives. I interviewed sources, reviewed the organization’s publications; website; business plan and key messages to create compelling, informative and engaging content. It continues to be exciting for me to use my skills to help clients recognize, value and celebrate staff achievements. It’s the people that make an organization. It’s the acknowledgement of their commitment, their time and considerable efforts that increases their engagement and encourages them to continue to grow and improve in value. The recognition of Canada’s 150th year of Confederation brings with it an opportunity to get out and see this vast country this summer. For some, Canada’s 150th is a time for celebration and fireworks. For others, it’s an opportunity to pause and reflect on the atrocities committed, against other human beings, all in the name of nation building. When I landed a copywriting assignment to describe a series of contemporary art installation projects in Canada’s national parks, the project opened my eyes to the expansive beauty of this land. And the creativity and diverse perspectives of Canada’s artists. Make a virtual trip to LandMarks 2017 then plan a real-world trip this June. You’ll learn more about Canada’s history, this land and its creative makers. And perhaps you’ll view Canada with fresh eyes. On Sunday night, around the globe, 33 million people watched PwC’s brand take a severe credibility hit. You know what happened. A PwC (PricewaterhouseCoopers) partner handed Warren Beatty the wrong envelope for the Best Picture award. Almost immediately (two minutes and 29 seconds later, or so I’ve read) after La La Land was announced Best Picture and the gaffe was corrected, Moonlight was awarded Best Picture. Will PwC’s 83-year relationship with the Academy of Motion Picture Arts and Sciences (AMPAS) continue? Will the PwC brand recover? PwC has taken the first step. They’ve taken responsibility for their error. The situation is being investigated to understand what happened and avoid future mistakes. So, what’s next as PwC goes about mending the damaged relationship? It’s been said that most people spend more time planning a party than they do their own lives. The New Year is well under way and if you’re like so many people, including moi, you’re still wondering how to make the most of it. Too often, people wake up one day and say, ‘hey, where did all the time go?’ No one wants to regret the time they spent here on Earth. We all get 24 hours a day. It seems to me, success is really about time management and choice. We can choose to waste our time or, we can plan, set goals and achieve. A colleague stopped by the other day with a Passion Planner. It’s a day timer with a difference. It contains a calendar and inspirational quotes but more than that, the owner is encouraged to address personal roadblocks, whether real or imagined, and dream and set goals within the Planner’s pages. It makes sense to use any available tool that will help in setting and achieving goals. Another adage that I’ve always liked is this one: Fail to plan and you plan to fail. So, this year, I’m going to do my best to remember my personal Passion Plan. Focus on what you want; where you want to go; develop new habits; take action; have fun and create positive change. At the end of the year, I hope we’ll all celebrate 2017 as a great year for both setting and achieving goals. I’ve always liked the expression: You can’t drive forward while looking in the rear view mirror. However, if ever there was a time for looking back and reflecting, December is it. Reflecting on 2016, I was startled to discover magical moments that, although initially celebrated, had already been forgotten. I initiated new business contacts and took on challenges, in one instance, profiling a company’s individual, team, departmental and organizational initiatives. Unexpected new friends and time spent with cherished old friends also became significant when I remained open. At times, it’s important to look back to recognize and acknowledge those delicious, fleeting moments. I also noted bumps in the road that were averted and spills, that could have been avoided with greater attention to the road ahead. Now, facing forward again, I eagerly look forward to 2017 and the journey before me, with a renewed spirit of adventure and awareness. War has altered the destinies of so many. The June 28, 1914 assassination of Austria-Hungary’s Archduke Ferdinand by a Serbian led to Austria-Hungary declaring war on Serbia. Serbia was allied with Russia. Austria-Hungary had an alliance with Germany. Owing to different allegiances, Germany, Russia, France and Great Britain all became key players in The Great War. On October 9, 1914, a Georgia sharecropper’s son enlisted in the French Foreign Legion. Bullard’s father had often told Eugene, his lucky seventh child, stories about places beyond Columbia, Georgia, where all men were treated equally. Anxious to escape the oppression of Jim Crow Georgia, Eugene sold his pet goat and ran away from home. He ran errands and worked as a jockey. As a lightweight, a teenage Bullard boxed his way through Europe. Eventually, he arrived in France. And when World War I was declared, he joined the French Foreign Legion. Bullard spoke fluent French and some German and he fought valiantly in the trenches of Verdun. He was awarded the Croix de Guerre along with other medals for his bravery. Later, he flew combat missions in a SPAD bi-plane with the Lafayette Flying Squad and shot down red German Fokker planes. At that time, the U.S. wouldn’t allow African-Americans into its air service. And when the U.S. joined the War effort, Bullard was abruptly discharged from service. 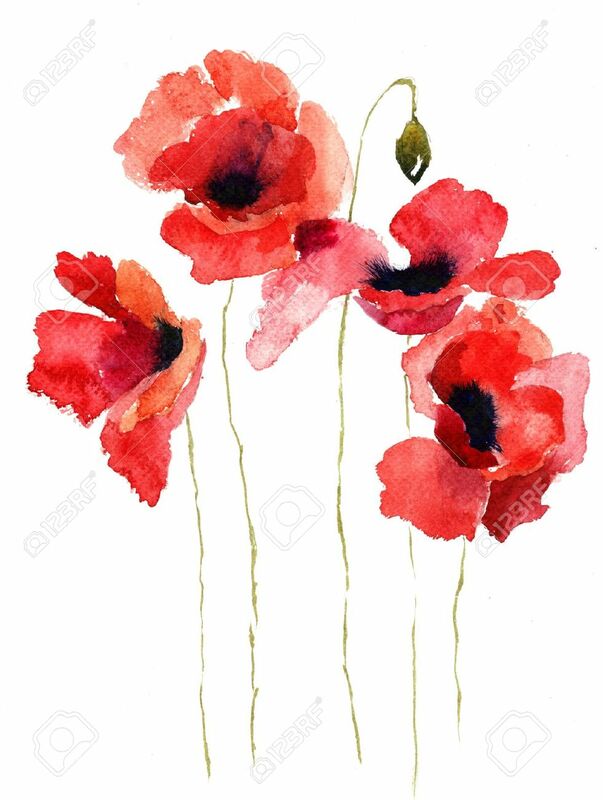 Today, I’m grateful to Eugene “Jacques” Bullard and the many servicemen and women around the globe who have fought for, and continue to fight, for freedom from oppression. Share Your Story, Celebrate Canada’s 150th Birthday! Next year, Canada will celebrate 150 years. As a writer and storyteller, I’m offering assistance, on a sliding fee scale, to individuals and community groups who want to share their stories in the form of an anecdote; photo or video with the www.canada150.org project. From the indigenous peoples to the pioneer settlers, the newcomers and community builders, stories help us celebrate and acknowledge the past and plot a new course for a stronger nation. With my parents and sister by my side, I arrived in Canada in the late sixties. We sailed from Blackpool, England to Montreal, Canada on the passenger ship, The Empress of Canada. My Jamaican-born parents faced the challenges of starting over in a new country with optimism and endurance. Today, just like so many of you, we are proudly Canadian with our own stories to share. We all have ideas. But what do you do with an idea when you stumble upon one or rather, when an idea chooses you? There are a ton of books out there about developing and growing ideas. 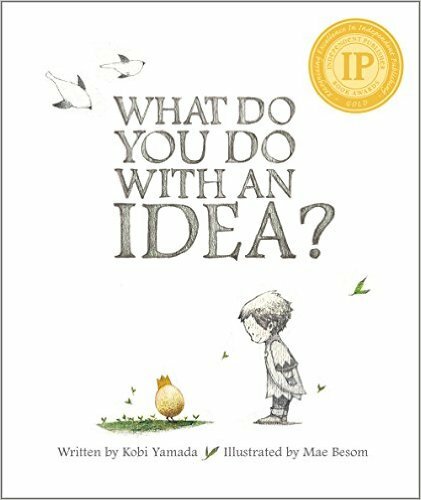 I particularly like the children’s book by Kobi Yamada: What Do You Do With An Idea? Developing ideas is not a complicated task. Ideas are like balls of wool that need to be unraveled and followed. Sometimes you come across a challenging knot and you have to decide if you really want to untangle that particular ball of wool. Or, maybe you think it would be easier to just chuck that ball of wool (or idea) and move on. It’s tempting, isn’t it? There’s a reason an idea chooses you. No one else can deliver that idea into the world in the way that you can. No one else thinks like you; or has lived the same experiences or was raised by the same family or shares the same passions and awareness. Each time I begin writing, I pause to collect my thoughts. My curiosity, my research and new information will shape the words into content that informs, engages, entertains and possibly transforms. That, for me, is the beauty of developing an idea. What do you do with an idea? Give it attention. Let it grow, unhindered, you nurture it, give it sun and prune and shape it and share it with supportive people. Then you release it to the world and move on to develop the next idea. Some years ago, I worked as a features reporter for a daily newspaper. After interviewing a source, I returned to the office and sat, hands poised over the keyboard, much as they are now, to pause, think and organize my thoughts. My surly editor boss (aren’t they always surly?) often snarled, “What are you waiting for…divine inspiration?” And well, yes, I was waiting and hoping for inspiration of some kind. Creative thinkers are often told that waiting for inspiration is a bad thing. 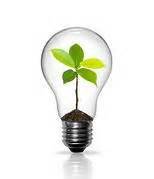 To me, inspiration is an idea, a thought, a seed that unexpectedly arrives in my brain’s inbox. And when it arrives, it needs to be pounced on, explored and nurtured. As a writer, it’s a direction to take an idea in, a road to travel on for a while. Inspiration is a beautiful beginning. The creative thinker knows that. The idea simply arrives, rough and unpolished And when it does, it needs to be welcomed, examined and mused over. The artist, the creator, the writer, all tune into the new idea and they make a conscious decision to grow and polish that idea. Or, they might make the decision to discard the idea for a better one. The next great idea is always right around the corner. Just waiting to be discovered. Waiting to be infused with each creative thinkers’ inner essence. Waiting to be shared.